Description/Historical Information: Three young boys, dressed as cowboys and Red Indian (with war paint), with wooden realistic looking horse on wheels. 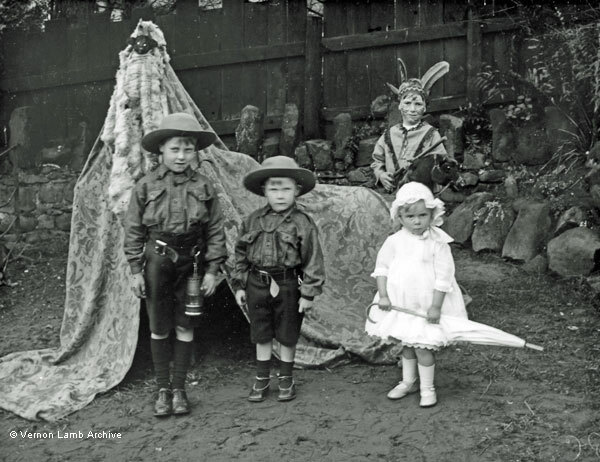 Home made teepee behind them, made from a curtain and with a toy dog at the top. With small girl in a bonnet who is clutching a parasol [also see VLA5224, VLA5225, VLA5226, VLA5228 and VLA5229].